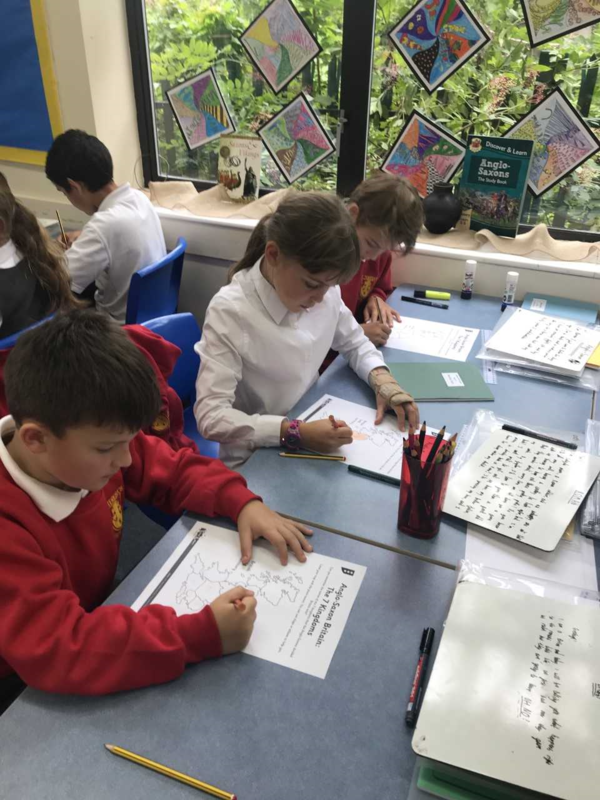 Year 5 were very excited to start their new topic this term. We are learning all about The Anglo Saxons. We started by looking at some pictures of objects and the children had to try and work out what they were and who might have used them. 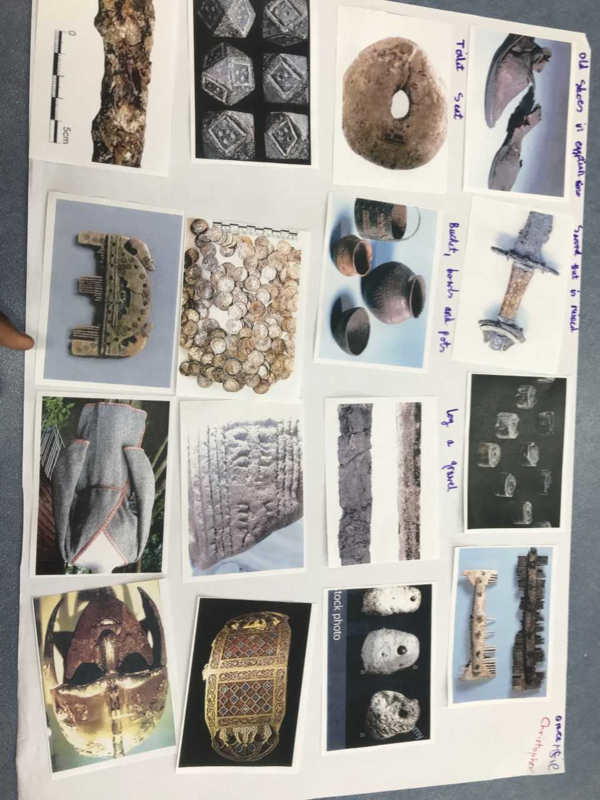 They then tried to think of their own way of sorting the historical objects and they came up with some very interesting ideas. 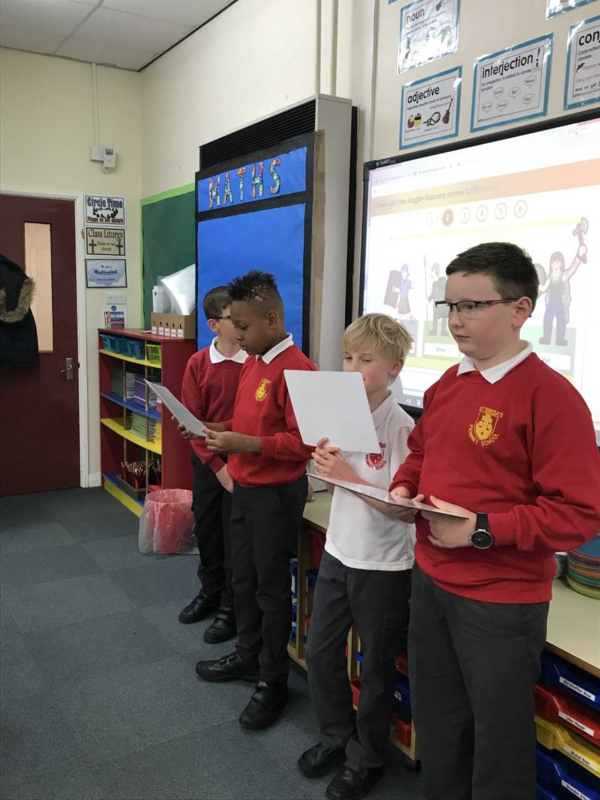 We’ve also been learning through drama about when, how and why The Anglo Saxons came to Britain. 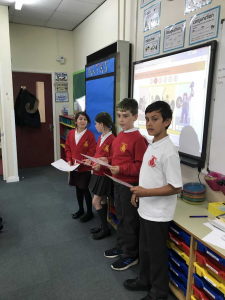 They wrote their own speeches, choosing the take on the role of either a Roman Soldier, a Pict, an Anglo Saxon or a Briton who might have been living in Britain at the time or trying to invade. The children performed their speeches to the rest of the class and we all had to guess which character they had chosen to be.